Last year Reuters reported that the sales growth of second-hand fashion is outstripping that of the primary luxury goods market. Or to put it more excitingly – we’re all mad for vintage. Savvy shoppers and fashion purists have long loved vintage of course, and it’s had several turns on the trend merry-go-round. But now it’s a genuine force in the industry. It’s a boom. Why? Well it’s a pleasingly sustainable option for one thing. It’s rumored Birkin bags retain their value more reliably than gold, for another. Plus, unique vintage pieces make for better Instagram outfits than that Zara dress everyone owns. A subversive haven of brutalist architecture and hard-core nightlife, Berlin remains one of Europe’s most achingly hip spots. 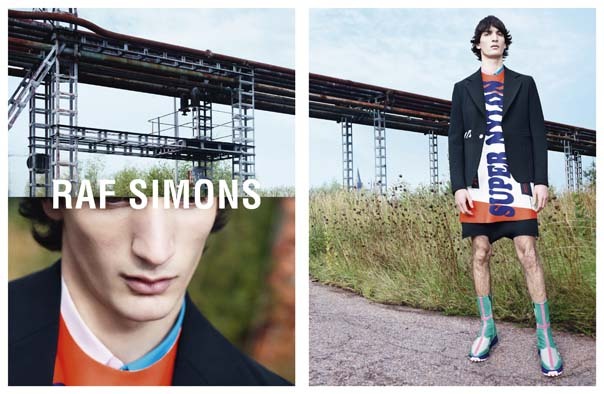 Best for: Retro streetwear and cerebral designers like Jil Sander and Raf Simons. Stores to know: Vadatim, Townes and The Good Store for urban classics, and Ironic Gallery for a selection of fetish wear. Dandy House is a vintage shop, bike shop and vinyl warehouse, but the coolest second-hand space isn’t a shop at all – Vintage Showroom Berlin is located in a Greek ex-pat’s living room. Travel Tip: Visit the Historische Bauelemente reclamation yard in Marwitz, 45 minutes out of town. It showcases Berlin’s design history via thousands of doors in all styles, 70s plastic furniture from Tegel airport, old funfair rides and a collection of art left behind at Soviet army posts. A hotbed of creativity with plenty of places to work hard and play hard, the Texan capital is a playground for bright young things. Best for: Amazing Americana and down-town casuals with a point of view. Stores to know: newBo vintage focuses on vintage against gender stereotypes whilst Passport Vintage specialises in denim, and Texas Custom Boots boasts hundreds of vintage cowboy boots. Big Bertha’s Paradise, and Bloomers and Frocks are also worth a look. Travel Tip: Attend SXSW, Austin’s modest festival turned cultural juggernaut and enjoy amazing gigs, film premieres and talks by some of the biggest names in fashion and tech. Oh, and celebrities on every street corner for nearly 2 weeks. The City of Angels is a magnet for fame, fortune, drama and debauchery, blending laid-back beach life with Hollywood glamour (and spectacular Mexican food). Best for: A hi-lo mix of thrift-store bargains and priceless designer treasures. Stores to know: Melrose Trading Post has a hundred separate vintage vendors and a dress to suit everyone. Lily et Cie counts John Galliano and Gwyneth Paltrow’s GOOP among its fans. 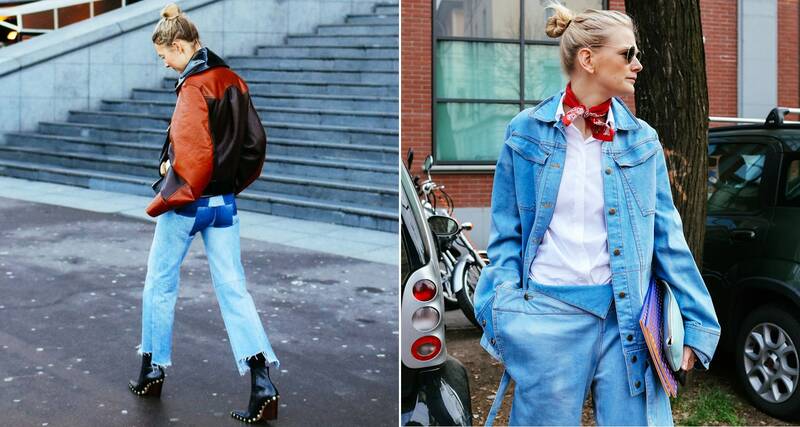 Decades and What Goes Around Comes Around are big players in the vintage game with even bigger designer names. Travel Tip: Just One Eye boutique on Romaine Street is a retail experience like no other. Its gorgeous wares sit among art by Damian Hirst and Takashi Murakami art, housed in an atmospheric building once owned by Howard Hughes. The Estonian capital is rapidly growing in popularity with the Millennial jet set. Not only is it budget-friendly, but the scenery is straight out of a Disney film. Best for: Eclectic retro finds and absolutely unique one-offs. 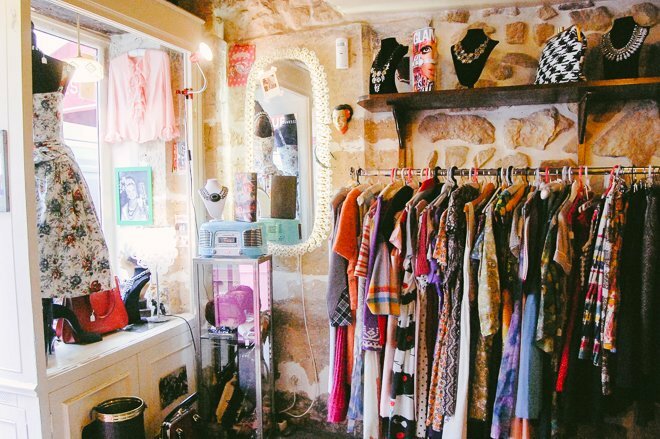 Stores to know: Vintage Fankadelic is like a chic grandmother’s closet, whilst Kopli Vintage is also a bar, so, you can combine drinking and shopping (ingenious)– expect Levis, Adidas tracksuits and other 80s and 90s classics. Thrifty MS Vintage’s pieces are sorted by colour, and Kopli Couture is bursting with the weird and wonderful: alpine ski suits and leopard-print body stockings. Travel Tip: During December there’s a Christmas Market in Tallinn Town Square, so visit during the holidays for a festive and snowy winter wonderland experience. 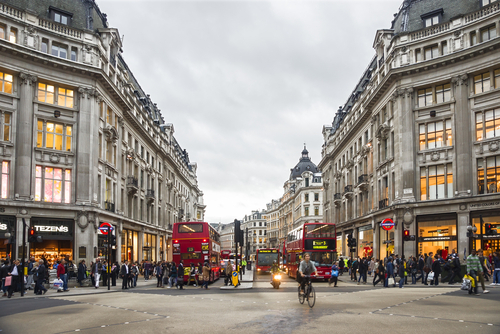 First Swinging London, then the centre of Cool Britannia and now a cultural melting pot with dozens of areas that showcase their own flavour and aesthetic. Best for: The quintessential vintage look as worn by its patron saint Ms Kate Moss. Stores to know: Rellik and Merchant Archive both have collectible period pieces whilst offbeat Dalston store House of Liza specialises in the arty – Walter van Beirendonck and Comme des Garçons. William Vintage is owned by William Blanks Blaney (dubbed the King of Vintage) and frequented by fashion’s elite, so expect the very crème de la crème – red-carpet Versace and Yves Saint Laurent couture. Travel Tip: For the perfect Instagram backdrop to sport your new finds, head to St Dunstan-in-the-East, a dilapidated old church straight out of a Pre-Raphaelite painting. For the latest in fashion, lifestyle, and culture — Follow us @HOLRMagazine. Fashion Talks: Chanel Classic Flap – New, Used, or Vintage?